Happy news for all residents and commercial establishments in Los Angeles. We are now providing you with utmost security for your property. Locksmith LA is here for you as the answer for the security solutions. We are providing with the most advanced locking systems in order to ensure your security. It is our responsibility to secure your property. We are equipped with highly qualified locksmiths who are having long years of experience .Our locksmith services include rekey locks, master key system, etc. that ensure the highest type of security to the client. We also provide residential locksmith services which ensure safety and security of the residential customers. To protect your home it is important to change your locks occasionally. In addition to the occasional change it is recommended that you change your locks when your home has been robbed or when you have purchased a new home. We are trained in the most cutting edges of home security solutions so no matter what type locksmith service you are looking for our technicians can handle it. Our safe specialist have been trained in all the technologies of safe cracking, safe repair and safe maintenance so no matter what type of issue you are experiencing with your safe, our safe specialist can help. Our emergency locksmith services are fully fledged and we provide you with licensed, insured and bonded offers to our customers. We provide you with a personal service warranty on all works. 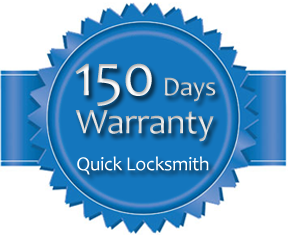 We are also the experts in automotive locksmith services. Our technicians are experts in automotive locking systems. We offer you with fully insured, licensed and bonded services. Our commercial locksmith services are very powerful to protect your business. The commercial locksmith services includes office keys, safe combination passwords, new advanced technology locks etc. We are also specialists in fixing security cameras. We arrange your home and office with a strong and powerful surveillance.